Summertime can bring the worst out in me. I'm like the Grinch, but instead of CHRISTMAS, which WINTER is my favorite season.... I, Beka, am the GRINCH of Summertime. SOOOO. What do I do to MOTIVATE myself to LOVE SUMMER and EMBRACE this season? I can remember finding a BEAUTY of a checklist for last fall that I printed out and put on my fridge for my kiddos and I to do! it was so much fun and Tristan loved asking..."Momma, What's next!?" We did more on the checklist because we honestly RAN OUT OF THINGS TO DO! We did things 2 or 3 times so we can just keep some of that fall magic with us! I do love appreciate each season. So, Summertime..... Here is TO YOU! As you can see, I need to start fresh on my list and get going! I really do appreciate summertime. I love seeing Tristan and Liv enjoy it so much! I love seeing Zach get so excited about his "outdoor" projects! Something I didn't put on there was a SUMMER READING LIST. which we are doing too! Would you like a SUMMER LIST? It's a way to say THANK YOU for following me on this blog & I am ALMOST at 200 followers! 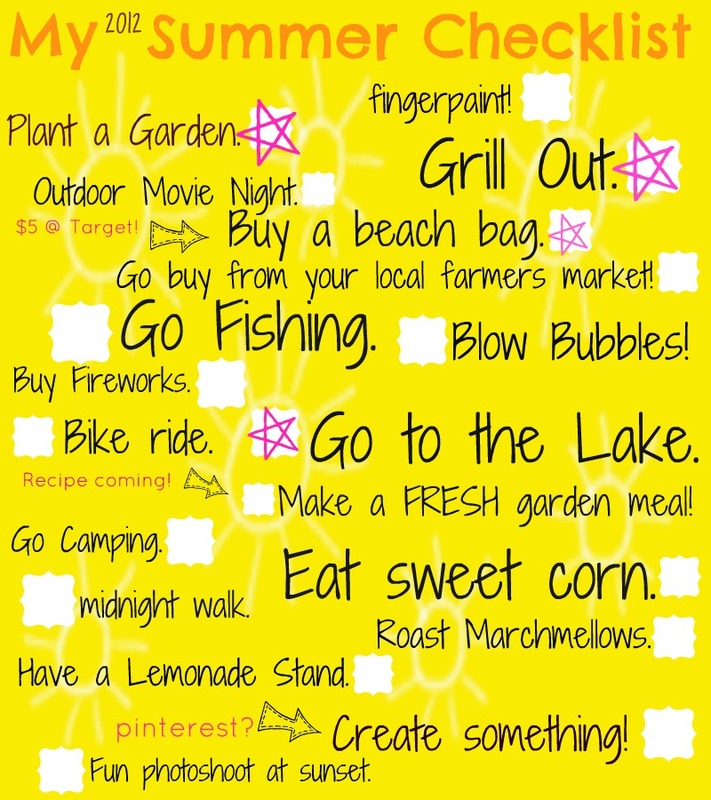 but here is the summertime list. I hope your SUMMER is going fantastic! I love this!! Such a good reminder to me- I love your list, too :) xoxo! I absolutely LOVE the new layout! This is such a great idea! I actually love summer but I should make a list for winter -which is definitely my least favorite season. Thanks for the inspiration!